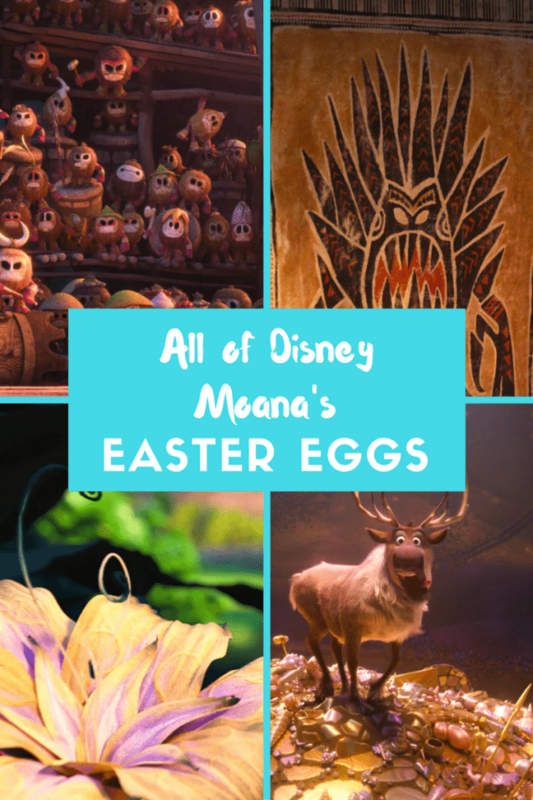 Disney Moana has a lot of great Easter Eggs that you may not have caught and some that you may have missed. Here are all of the Easter Eggs in Moana in the order as they appear in the movie. Finding Disney Easter Eggs is one of my favorite things to do. It used to be Disney Pixar that was the mastered the art but animators are getting really good about adding them into all of the Disney movies now. These are characters or props from other Disney films “hidden within the movie. Moana is one of my favorite Disney movies. It was fun capturing all of these great easter eggs. 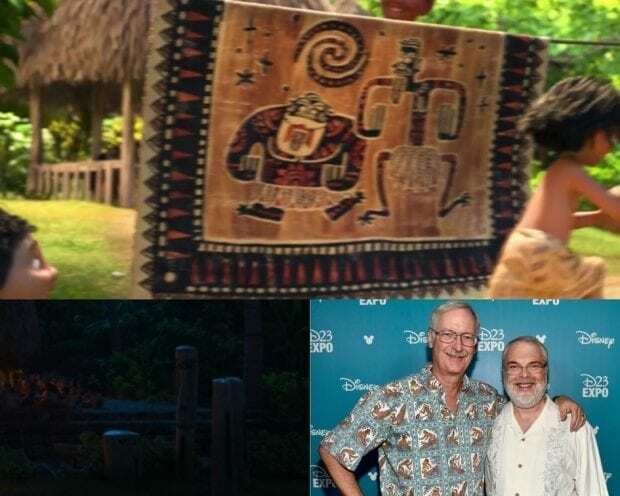 Jonn Musker and Ron Clements, the directors, LOVE putting themselves into the films as Easter Eggs but they also love sharing their other movies like The Little Mermaid, Aladdin, and Hercules. Here are all of the Moana Easter Eggs in the order in which they appear in the film. One of the tapestries hanging in the school is made to look like Marshmallow from Frozen. 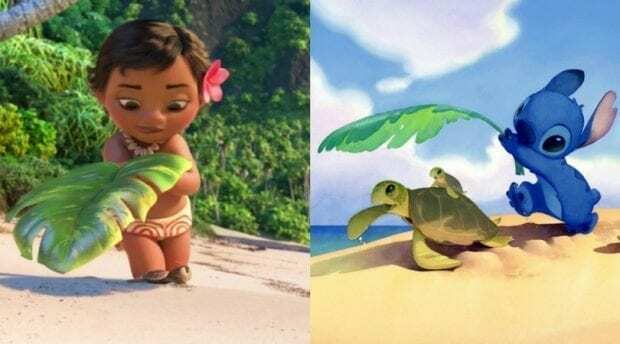 The little turtle at the beginning looks like the Finding Nemo sea turtles, but it is more likely that this is a nod to Stitch where he is seen helping the turtles. Still looks a lot like Squirt though! Then Squirt is reunited with his dad! A few seconds into the song Where You Are you will see the first John Musker and Ron Clements Easter Egg. The next one is when they are talking about the damage to the island and there are totems out front. Towards the end of the song, you see the villagers lay a rug down on Pua the pig. If you look closely you'll see it's the same pattern as the Magic Carpet from Aladdin, the only difference is that instead of tigers in the corner, they are pigs! 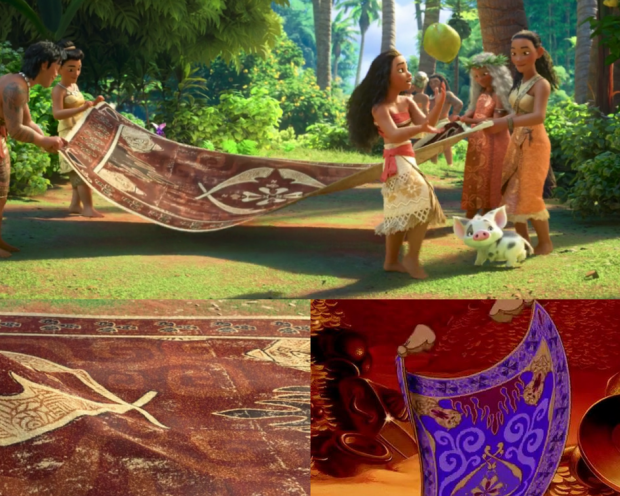 When Moana packs up her canoe to head out to find Maui, she puts supplies into her boat. You'll see Olaf's from Frozen's nose and arm inside. During Maui's song, You're Welcome, one of the fish swimming is Flounder from The Little Mermaid. 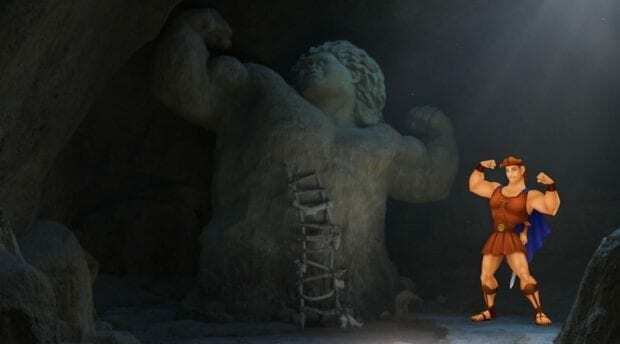 After Maui locks Moana in the cave you seen his stunning statue and it reminds me of a certain muscle hero! One of the Kakamora (Coconut Pirates) has a face painted like Baymax from Big Hero 6. In the Sea of Monsters, the monster that goes after Moana is modeled after Flash from Zootopia. After Tamatoa stops singing because Maui jumps onto his back to grab his hook you can see the Genie's lamp from Aladdin. Maui transforms into Sven from Frozen. When the island comes back to life, one of the flowers blooming looks like Rapunzel's magic flower from the sun. Wreck-It Ralph is seen stitched into the fabric in the end credits. Do you like Disney Easter Eggs? Here are all of Disney Pixar Coco's Easter Eggs! Are you a huge Moana fan? Then you'll love this Moana printable.